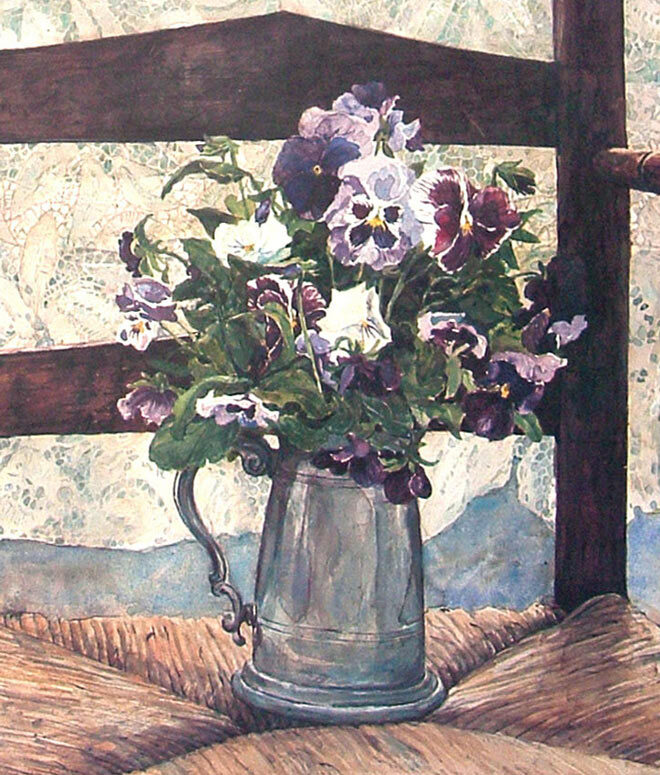 Print from the original watercolor of pansies in a pewter mug on an antique chair. Christopher Cart’s wife, Jen, grew a huge border of blue, white and deep purple pansies that year, and when she put a bouquets of them in silver and pewter bowls and mugs around the house, Chris was unable to resist the combination of colors and textures. The image is 21.5 x 14 inches, printed with archival inks on acid free paper.